Al Ain, UAE. January 15, 2010: With the countdown to this year’s Al Ain Aerobatic Show underway, organisers have unveiled a mega, on-ground family-friendly spectator experience to keep both aviation aficionados and junior pilot ‘wannabees’ fully entertained whilst the world’s best pilots dazzle in the skies. A show-stopping interactive village with five specialist zones has been designed to provide entertainment and hospitality for visitors of all ages. 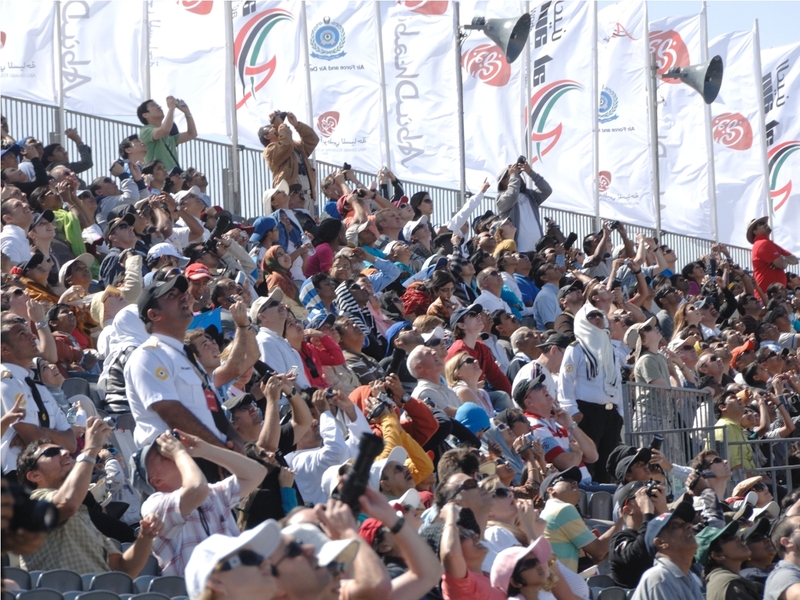 And with the largest spectator offering in its nine-year history, the Al Ain Aerobatic Show will welcome students free-of-charge on February 2 and 3 – its first two days. 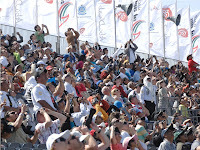 “Expanding the range and quality of attractions and hospitality options is an integral part of this year’s great value Al Ain Aerobatic Show experience,” said Faisal Al Sheikh, Events Manager, Abu Dhabi Tourism Authority (ADTA), which organises the show in conjunction with the UAE Armed Forces. The Educational Zone will feature meet-the-pilots sessions, walk-through flight experiences and interactive displays from show sponsors, while tethered hot air balloon rides, go-karting, bungee trampolines and crazy golf make-up the Entertainment Zone. There is plenty to keep children amused in the Family Zone, with play areas, face painting, bouncy castles, games and fairground activities while the Food and Beverage Zone will keep everyone energised with fast food outlets, coffee shops and ice cream stations. Official merchandise, aviation gifts and books will be on sale in the Retail Zone. Headline attractions include a static display of state-of-the-art military aircraft and helicopters, model aircraft displays and roaming entertainers such as the ever-popular magazine character Majid, a favourite of children across the Middle East, and the Friendly Pilot Bear making a debut appearance as the show’s family-friendly symbol. And for those with a passion for petrol, official show sponsor Emirates Motor Company, the flagship company of the Al Fahim Group and authorised UAE Mercedes-Benz dealer, will be drafting in professional drivers to perform nail-biting on-ground stunt displays featuring the latest Mercedes-Benz models. There’ll also be the chance to win a luxury car for the weekend. “We are going full throttle this year to make it the best show ever. Whether visitors are aviation fanatics or novices who want to learn about the wonders of flight, Al Ain will have it all,” added Al Sheikh. The Al Ain Aerobatic Show, held under the patronage of HH General Sheikh Mohammed bin Zayed Al Nahyan, Crown Prince of Abu Dhabi and Deputy Supreme Commander of the UAE Armed Forces, is set to attract record crowds next month. More than 20 aircraft will be take to the skies in the daily flying display, including some of the planet’s best formation teams. Taking centre-stage this year, and arranged by the Fédération Aéronautique Internationale (FAI), the international governing body for air sports, is the unique, multi-discipline FAI Desert Challenge. This breathtaking aerial tête-à-tête will see six of the world’s best pilots flying in classic and free-style competition formats. Spectators will also be treated to a wealth of gravity-defying stunts featuring wing-walkers, subsonic jets and choreographed ‘dancers in the sky’. Also jetting in for the show, will be the Turkish Air Force’s aerobatic squadron – the Turkish Stars – and the Baltic Bees from Latvia as well as the four Hawker Hunter supersonic fighter jets of Team Viper, which will be performing its amazing mock ground formation attack scenario for the first time in the Middle East. The Al Ain Aerobatic Show runs at Al Ain International Airport, approximately 80 minutes scenic drive from Abu Dhabi and Dubai. Easy access to the show makes it an ideal day trip from most parts of the Emirates for families, aviation enthusiasts and schools alike. Schools are being offered free access on the Wednesday and Thursday – further details can be obtained by contacting alainschools@fegroup.ae or calling 04 2867755. Potential visitors also have the once-in-a-lifetime opportunity to win a flight with one of the world-class pilots who will be participating at the show, as well as numerous other chances to win free tickets, by taking part in an online competition on the website, www.alainaerobaticshow.com.